Most of us doll makers are a one-woman company. We usually work from home, where we have set up a small studio to professionally pursue our passion. Because we just can’t help it. All evolving around the dollmaking is in the truest sense of the word handmade and therefore is mostly done with our hands. By ourselves. 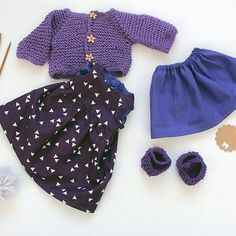 Professional dollmaking does not only mean sewing beautiful dolls and dresses, but also and more often means accounting, inventory, finding the right suppliers for the natural materials the dolls call for, calculation, invoicing process, adherence to toy safety guidelines and quality management. Web design, photography, networking and social media marketing should also be one of the “skills” you should own or adopt. In addition, of course, you have to master your own (art)craft, always wanting to let ones creativity thrive and, despite all the other tasks and bureaucratic hurdles, find at least the compromise of ones own creativity and official guidelines. So it’s not too surprising if one or the other dreams of another way, wanting something bigger. 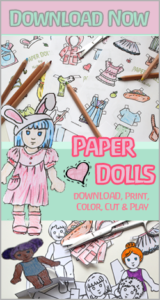 It has been proven that handmade dolls made of natural materials can be successful. Maria, who originally wanted to become a psychologist to be able to help people, quickly realized that she had a special gift because of her vivid imagination and the constant refusal to grow up. 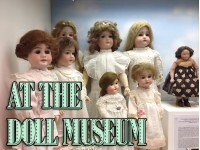 Her passion for art and handmade dolls simply did not let go of her, so doll making was her destiny and fulfillment. But a dollmaking artist only having two hands, 24 hours in a day and being as talented and demanded as Maria, can not fulfill all the demands of her doll lovers for more dolls. Although there are always free custom spots, waiting times for a doll are long. Handmade dolls are precisely this: handmade. And it takes time, even if one is practiced and optimizes all work processes. After all each doll is individually sewn with care and is usually nothing less than a work of art. 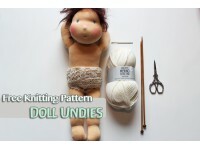 Meanwhile, many people appreciate handmade dolls and demand is increasing. Maria as a dollmaker had many inquiries. A particularly persistent fan of her work was Denitza Velasquez. She did not want to settle for the long waiting times for a doll and wanted to give her daughter a lot more of Maria’s dolls to play with. While she had learned patience through her studies of liberal arts and Spanish, she was still persistent. Denitza decided to make use of her Masters of Entrepreneurship and wrote a letter to Maria sharing her bold idea and giving her a daring proposal. 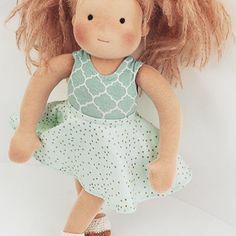 She suggested a business partnership to Maria: the idea behind it being able to offer the opportunity to call such a wonderful handmade doll their own to more children. And finally, Maria having found the perfect partner in Denitza was brave enough to dare going big and the two started their own business – “Ciao Bimba” was born. So meanwhile this fan has become a friend and Maria’s business partner. The last year, both worked feverishly to make their dream come true: they searched for the right location, found a team to handcraft the dolls, sorted suppliers, acquired licenses and built a website. who shared their enthusiasm and were eager to learn how to make natural fiber dolls for children. Maria put all her energy and love into sharing her knowledge with them. 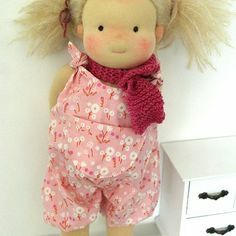 Each doll, which is created under these attentive and trained hands, possess the unique charm which is characteristic for all dolls by Maria, and thus will touch the childrens hearts. 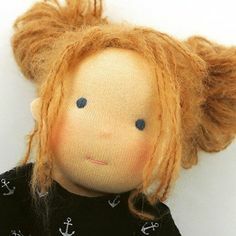 Even if “Ciao Bimba” is not a one-woman-company, the dolls are still handmade with great care and using only natural materials for the dolls. Driven by the knowledge that materiality influences children’s play by stimulating their creativity and shaping their sense of aesthetics. Maria will continue to make her collectors’ dolls, but at the same time work as a doll designer for her company “Ciao Bimba“. A dream came true for the doll maker and artist. Kids around the world now have the opportunity to find a faithful companion and friend in a “Ciao Bimba” doll designed by Maria. A dream maybe one or the other of us can also relate to. I hope Maria and Denitza will be successful with ” Ciao Bimba ” carrying the love for handmade natural dolls out into the world. 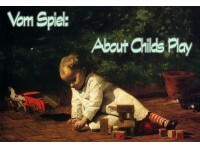 Reminding us of the importance to dare something when the opportunity arises, venturing from the small into the great. We should take our own idea and go conquer the world. Conquer it with handmade natural dolls. Therefore we being women, dollmakers, doll lovers sharing one passion, should support one another. We should learn from each other, rejoice the others achievements and be appreciative. Being a role model for our daughters. Congratulations,Brilliant fabulous. Great. Super . Really enjoyed the video. The best of luck to both. Well deserved. 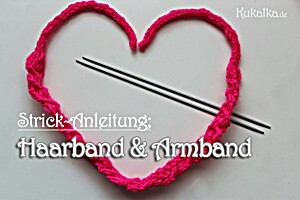 X hope its one of those companys that become the next kathe kruse !!!!!!! I was lucky enough to find your wonderful blog and shop through searching for Ciao Bimba and I enjoyed reading your post for its personal content as much as its information. 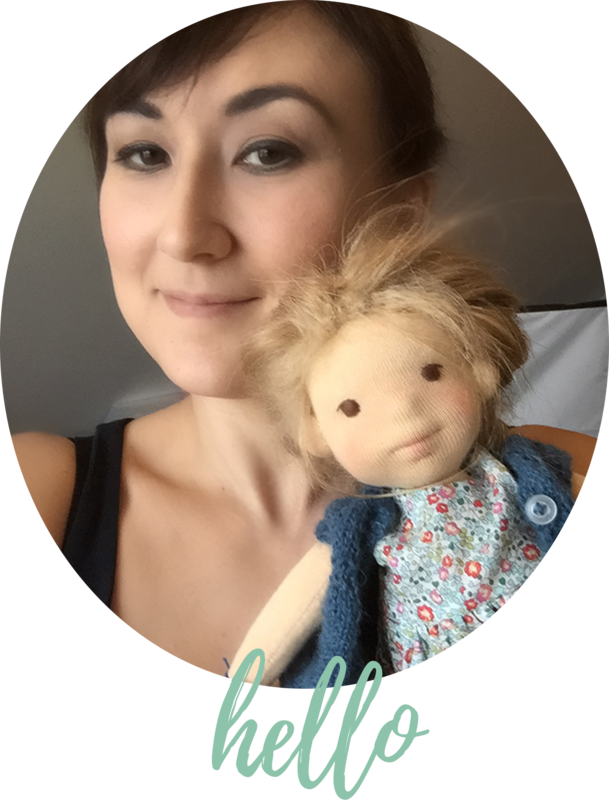 Your idea of conquering the world with handmade natural dolls made me smile and so too did reading your obvious support for Maria, Denitza and Ciao Bimba. thank you for your time to write a comment and your kind words.